Hours: Sun.-Thu. 11 a.m.-11 p.m. Fri.-Sat. 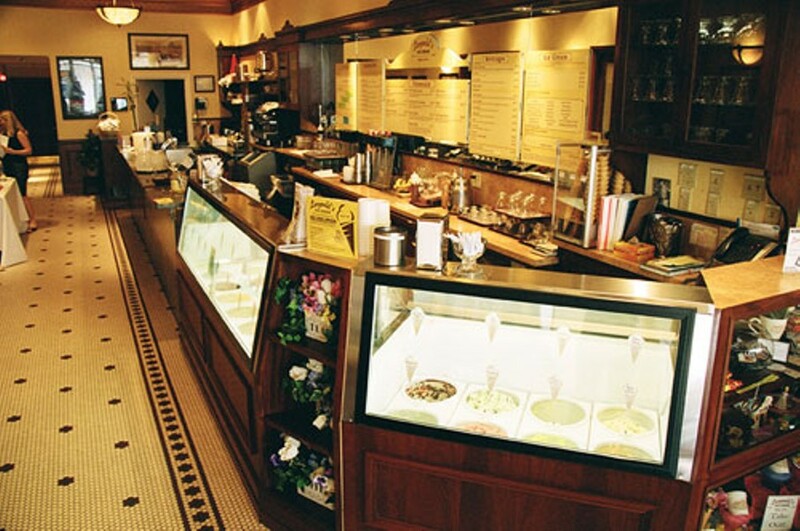 11 a.m.-12 a.m.
After opening its doors in 1919, and sadly closing in 1969, Savannah's favorite ice cream destination, and frequent haunt of famed lyricist Johnny Mercer, reopened in 2004. Now, in a new location on bustling Broughton Street, Leopold's Ice Cream is once again serving its world famous sweet treats and savory dishes to loyal customers. The parlor's original decorations, as well as movie memorabilia from the owner's successful cinema career, adorn the interior, remarkably recreating a bygone era of bobby socks, soda shops and Hollywood glamor. Every scoop of ice cream is made on premises, still utilizing secret family recipes, perfected by the founding Leopold brothers. A Best of Savannah selection.